Set of illustrations of plastic yogurt cups. イラスト素材: Set of illustrations of plastic yogurt cups. 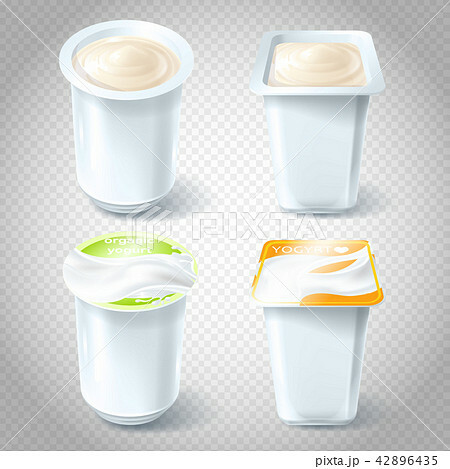 A set of illustrations of plastic cups for packaging, storing, selling yogurt. Template, element for design.